At Outskirts Press, Inc., we take great pride in celebrating the work of our successful self-publishing authors, and we do so each week through our Self-Publishing Author Spotlight. This week we highlight self-publishing author Jerry Snodgrass, who has published an astounding 9 successful titles! Learn more about Jerry through this week’s Self-Publishing Author Spotlight. Jerry Snodgrass was born in Butler, Missouri, in 1938. He was raised and went to school in Indianola, Iowa. 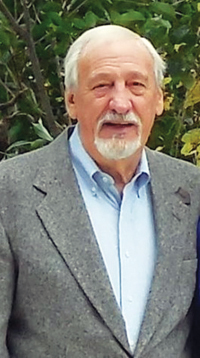 He entered the military after graduating from high school in 1957, and successfully fulfilled his dreams of serving in the military and federal service, traveling to exotic locations for over fifty years. 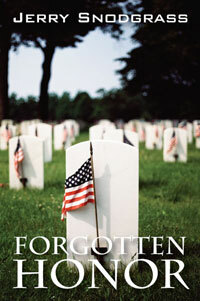 Jerry is a Vietnam Veteran and is a Life Member of the Veterans of Foreign Wars and American Legion. His passion for romance and suspense and the lives of the American cowboy inspired him to write, Night Shadows Over Sandy Creek. He provides exciting reading with a fiction romance novel set in Southwest Texas. Jerry lives in Austin, Texas, with his wife Rosemary and their little Yorkie, Stormy. From the steamy jungles of Vietnam, to the ancient city of Istanbul, Blake Tanner is a man you want on your side. Follow him as he travels from his home in Colorado to New York City, Atlanta, London, Istanbul, Naples, Athens, and Barcelona in search of clues and answers connected to his friend’s death. It’s the summer of 1956, and how teenagers lived and loved and played, when James Dean was the coolest and rock ‘n’ roll was the only music worth listening to, comes to life in Moments to Remember 1957. In a small town in the Midwest, at Indian Falls High School, we meet the greaser and the misfit, the farm boy and the girl next door, and the dreams they thought were “made in the shade.” Here’s a slice of American life – both good times and bad – that will have you digging up your old 45s, sipping on some cherry Coke floats, and wondering what happened to all the friendships that were going to last forever. It is 1878, as young John Wesley Steel leaves home for the wild Texas Frontier. It is a deadly time in the state’s fledgling history as Indian, Mexican, and white men fight for their beliefs. 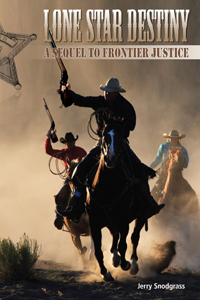 Wes works as a cowboy and then begins the life of a Texas Ranger, he soon falls in love and marries. But as Steel’s family grows, so do the dangers, and now he must fight to save his dear ones and the land he loves. 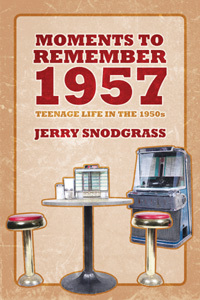 The story is a snapshot view of the fabulous 50s and the Indianola, Iowa graduating class of 1957. Too much happened during the final five months of the class’s senior year of high school. Also, too many years have passed to present accurate memories of activities and events. The 1950s, and especially the year 1957 was a very exciting decade and still is. It was a time of happiness, individually, and plain good old fun. Brady Lane is happy to be retired from the US Army Criminal Investigation Command (CID). He is enjoying life with his second wife, Julie, and his two lovely daughters. But at the age of forty-five, Brady finds he’s not quite ready to retire when his expertise is requested to help solve the murder of his close friend and former partner. Brady and Julie relocate to Germany, where they find themselves enmeshed in an international intrigue, chasing down an arms and drug smuggler whose only motivation is money. This deftly plotted thriller will have you on the edge of your seat as you discover what really goes on beneath the tranquil exterior of the Castle on the Rhine. Kurt Chapel former CIA operative, Navy SEAL, and mercenary decides to give up his dangerous occupation after the successful rescue of a Croatian politician’s daughter. During the rescue in the countryside near Zagreb, he killed the three kidnappers that were holding her for ransom. Kurt makes the decision to hide his past and relocate to the small central Texas city of Kingston and begin a new life as a novelist. But it isn’t long before he realizes that this pleasant little town is bursting at the seams with corruption and danger. Beautiful blonde realtor Norma Price enlists his help to figure out what her seemingly mild-mannered husband, Bill, has been doing at high-end listings represented by Price Realty. The truth they uncover will catch several people in a web of blackmail and corruption, and Kurt’s CIA connections will be priceless in bringing the criminals to justice. Smart, funny, and fast-paced, this romance/thriller will keep you guessing and leave you anticipating the next book in the Kurt Chapel series.